ISC West is the largest security industry trade show in the U.S. 30000+ security professionals including integrators, installers, dealers, consultants gather in Las Vegas to see new technologies and products in access control, data security, residential and commercial surveillance equipment, wireless security applications, etc. provided by 1000+ brands from all over the world. The exhibition hall is divided into 5 main zones for specific topics: Connected Security Expo, Unmanned Security & Safety Expo, Emerging Technology Zone, Connected Home, and Public Security & Safety. Visit Korenix in Las Vegas/ ISC West 2018 at booth 29088 to get the most reliable security solutions with Korenix latest inventions. 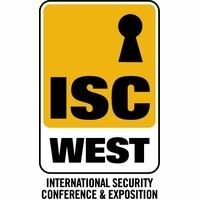 Registration to the ISC West 2018, press here.